The scope of works covered by the project is over 1700 m2. Interbiuro has prepared an architecture project and industry projects. The aim was to adapt the surface to the new standard of the Regus network. The biggest changes concerned the common parts, in particular the reception and social parts. New furniture and functional layout create a friendly atmosphere to tenants and their customers. Improvement of working conditions in offices was also achieved by exchanging a large part of plasterboard walls for glass walls using a double glazed no muntins system. The treatment lit up a large part of the office while maintaining good acoustic parameters. The complement is a new access control system, which all the doors have been covered with. 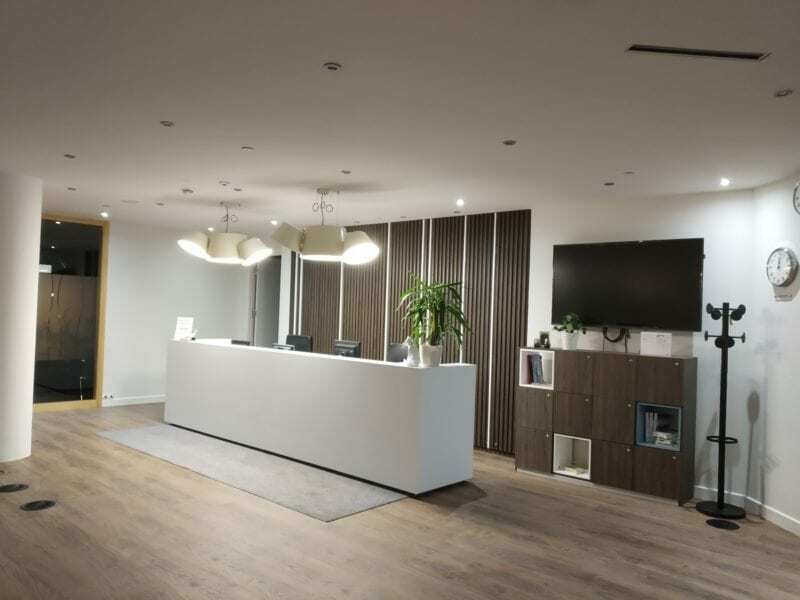 The project was carried out for 10 weeks during the continuous and uninterrupted work of the office.